Do you need to outsource your SEO? We have been providing quality, in-house white label SEO services since 2007. Reach out to us for the best SEO reseller services on earth! Backed by our 100% guarantee and a team of US-based SEO professionals, your trusted SEO experts are here at BrandingFM to provide you with the best SEO reseller program on the internet. By researching, strategizing, and implementing, we ensure that your clients will rank well for organic traffic. In other words, we do the heavy lifting and you get the credit for it. All reporting, management, and support is delivered under your roof. We specialize in search engine optimization (SEO). Basically, this means that we rank websites within search engines for organic traffic. How Do We Rank Your Website? Ranking your website is very complicated and takes years of experience. You can't simply push a button and get organic traffic. There are over 200 on-page ranking factors and 300 off-page ranking factors. We study and test these ranking signals continually to ensure our clients' success. Actual screenshot of a client's rankings from our white label dashboard. Testing: We use a scientific approach and single variable experiments to calculate what's most important for your client's niche and location(s). Research: We first research what your company sells and/or provides services too, then we utilize a variety of tools that help us mine what keywords would give your company the best organic traffic. Implementation: We then work on the many factors that help rank your website effectively, which includes both on-page and off-page SEO. We prioritize our optimizations depending on the needs of the websites history, competition, and current condition. BrandingFM is the Only White Label SEO Agency That Does This. All of the other white label SEO-reseller agencies offer cookie-cutter services. Not us. Looking for a SEO Outsourcing team you can trust? On-page SEO: Optimizing your site to include elements of known ranking factors, and removing bad quality ranking factors. Starting at only $249 p/m. Experience and intelligent data to confirm what and where we need to be building your online visibility. If this process is done poorly, your client's marketing budget could be wasted. This is why this is the first and most important step to any marketing campaign. There is not another white label SEO agency that we can find on the internet that does this. Competitor Traffic Research Using Proven Scientific Calculations. 3. On-page SEO - The Superman of Optimization! As smart as Google is, it still needs to be technically spoken to. As the Google search bot crawls your client's website, it grades their website with a quality score and justifies the ranking for specific queries in search. The site will receive a low-quality score if the content and structure of it are not technically SEO’d. Our technical SEO department holds the highest standards in the industry! With in-house, California based SEO's, your clients will feel safe knowing that they're in good hands. 4. Business Endorsements & Mentions - Building Trust - Naturally Acquired LINKS! Links - search engines need to know your clients business can be trusted. So our writers reach out to authority sites and have the website "linked to" within an article. These are real sites with real traffic and can be significant to SEO. We make sure that the websites we link from have real authority, traffic, high trust metrics, and are not privately owned. This provides optimal backlinks for your clients and will nullify any fear of your client receiving a manual action flagged from Google's webspam team. Available for Level 3 only. 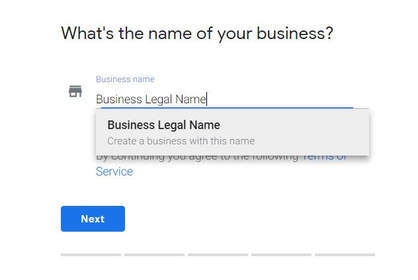 Google wants to know what your clients business is and where the business is located. Building hyper geolocated business listings confirm the business location and niche. Trigger A.P.I. syndication and dissemination of accurate local business data across 100's of aggregators. At times, we'll use the power of Facebook technology to target relevant audiences within Facebook. This is done by amplifying the content that is already sharing/posting onto their Facebook business page. As they post on their Facebook page, we'll randomly select some posts and build targeted audiences, layered audiences, and geo-targeted audiences to bring them the best traffic from social. This is not just boosting a post. Sometimes, we'll launch up to 32 different ad variations to achieve the best results for your client. We do this because it directly correlates with SEO visibility and Social authority. It helps with rankings in search. *Available for Level 3 only. Your brand with world class deliverable's... We provide your client with a beautiful CMS dashboard where your client will be able to log in (under your brand and website of-course) and see a huge list of analytics, metrics, and search rankings. Your client will be impressed with the visual experience and this creates a productized service which is a huge benefit for you as the agency. * Please note, that not ALL of these deliverable's listed below are reported. We prioritize the most important reporting widgets to your client and this can be customized on a per agency need. * Levels 1 & 2 do not qualify for Facebook traffic or Links. At times, we have made exceptions, contact us to learn more. Not all of these integrations are services; they are options to have available to your client if they want to have all of these metrics under one dashboard. If so, they are free to have integrated. A private label service as a service. We (BrandingFM) provide SEO services to you (Agency who owns the clients and campaigns) on the your behalf. The clients, think that it’s you the agency doing the SEO work and providing the reporting, but we are actually doing the work and reporting under your brand and company. BrandingFM does not own the clients or publish case studies and/or results on the worldwide web. This can be a completely “hands off” SEO service for the agency wanting to grow their SEO department but not wanting to perform the technical SEO work involved in search engine optimization. What if they have multiple locations? If they have multiple locations, perfect, add another level to the campaign for that additional area. For example, If they are on a Level 2, then they'll need two Level 2's for that second location. National campaigns will do great with a Level 3. But, the client will always need to have some content publishing, and/or ad strategy in place to make national campaigns work well. If your client is working on publishing great content or using a system like Hubspot for publishing, then our SEO will work perfect with that. In fact, we have a client that used our SEO services to pair with his content publishing and we were able to bring his organic traffic from 800 unique users to over 6,000 per month in just one year. Ecommerce websites can be tricky; they usually fall into the "Custom" category. But, if your client is doing a good job at managing their unique product descriptions, keeping their product images original, and providing a fluid user experience, then a Level 3 will be the perfect fit for most small ecommerce websites. We no longer offer advertising management as a stand alone white label service. All services grandfathered in will remain managed as agreed. What if I really need a Custom Plan? We provide high-level campaigns but only under our Headflood Marketing branch. Any referral will receive a 20% recurring commission on the life of the client. Our high level (Custom) campaigns start at a minimum of $3,000 p/m, and SEO coaching rates are $200 per hour. What does a Level 1, 2, or 3 Reseller Program cover? This SEO program with BrandingFM will cover a lot of what we call "the bones" of SEO. This is the foundation of your client's website and other online assets communicating with the search bots. SEO clarifies who they are as a company, what service or product they provide, and why their website should rank over thousands of other small business owners. The difference would be having a beautiful website with no traffic, and then having a beautiful website with tons of traffic and visibility that explodes their business. We make that happen! What's the difference between a Level 1, 2, or 3 campaign? They each have their place and value depending on the needs of the clients success and/or the history of the clients website. If a client is in a bigger area with more population, or has a tougher market to compete in, then they'll need a Level 3 so that we have the budget to fulfill the needs for that campaign. It's a good idea to have us look at the website and estimate what your client will need before you bid on the project.